Please join us at Bullivant Gallery on Friday, March 11 from 5:30pm – 8:30pm or Saturday, March 12 from 10:00am – 2:00pm for a fine art photography exhibit and print sale with proceeds benefiting the Missouri Botanical Garden’s Shaw Nature Reserve. 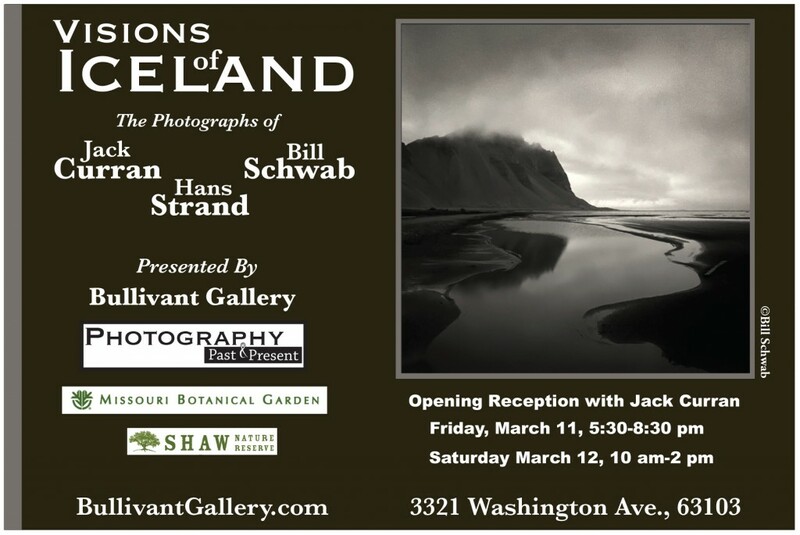 The exhibit features the work of three very talented photographers, Jack Curran, Bill Schwab, and Hans Strand, who have all spent considerable efforts documenting this extraordinary landscape. There will be a silent auction for one of the prints to raise money for the Shaw Nature Reserve to help them restore their property from the recent flood damage.